Chicken stocks fall into two basic categories: roasted and basic. Roasted chicken stock couldn’t be easier — take the trimmings from your roasted chicken and throw them into a pot. Cover with water, bring to a boil, and lower the heat to a simmer. Simmer for at least an hour but up to three, strain, and keep forever. Basic is the same method — just start with raw chicken of any kind, but ideally one with the bones still on. Beef stocks are heartier and give a richness to any dish. Use steak trimmings or leftover ground beef, and add good, marrow-rich beef bones if they’re available (buy at your local butcher.) With beef stocks, other hearty ingredients like tomato paste also work well. 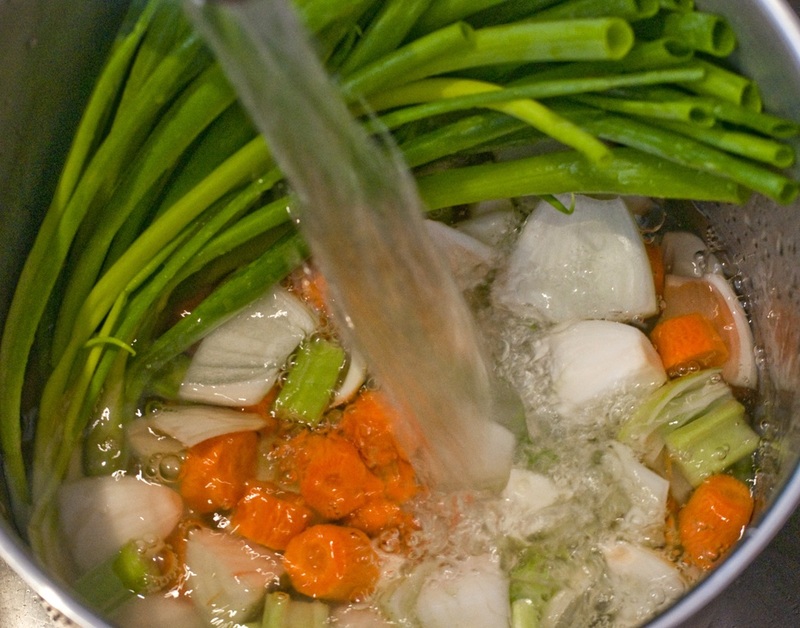 Vegetable stock is great for vegetarians and meat-eaters alike. Traditional vegetables are carrots, celery, and onion, but mushrooms add a deep umami (savory) flavor to the stock. You can also use less common relatives of these vegetables, like leeks, green onions, and other root vegetables. Tip: a Parmesan rind simmered slowly adds a lot of delicious meaty flavor without adding any meat. Fish stock is extremely versatile and can be made out of a range of ingredients. Leftover shrimp, lobster, or crawfish shells all make a great stock, as do the leftover bones of any whole fish you might have.